Words & Photographs by Lee and Bhanu, of Adventure in our Teacups. On some days the haze that settles low across the city blurs even the outlines of Delhi’s iconic monuments. The familiar shape of India Gate with its etched sandstone bricks is hardly visible in the grey-brown smog. Delhi-ites are despondent about the poor air quality and lack of action. The ‘Green Clean Delhi’ signs posted along main roads belie the incentive to breathe in clean, fresh air every day. And yet, in the jumbled hub of Old Delhi is the newest addition to the city’s green clean inspired movement, Sunder Nursery. Sunder translates to beautiful in Hindi, and that it is - though the name derives from the Sunder Burj Tomb located in the grounds. 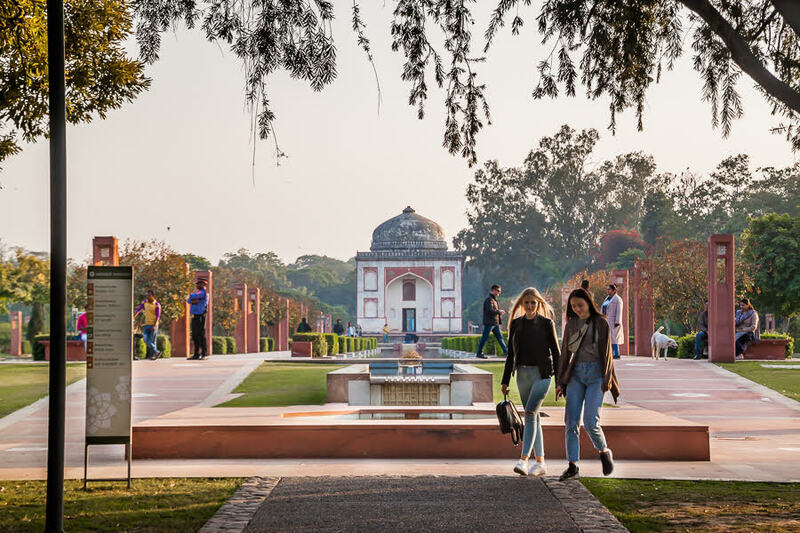 Coupled with 16th century Mughal architecture, the grounds, also known as the Delhi Heritage Gardens, are a spacious and refreshing reprieve with the heritage park, which opened in February 2018, home to over 300 tree varieties. It has become Delhi’s first Arboretum. It was during British rule that the nursery came to be and so, as a tribute to its natural bio-diversity, the designation has stuck. 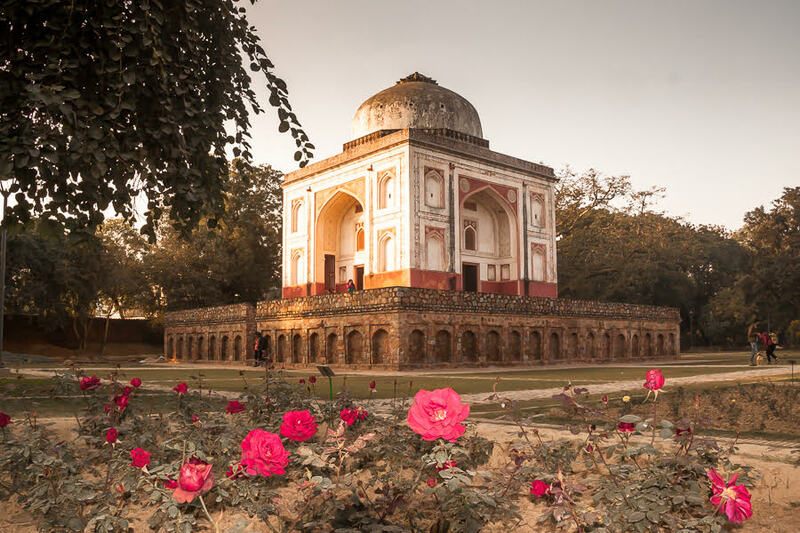 What took shape as a heritage project to restore the tombs and prayer halls of the Mughal Empire has become Delhi’s own Hyde Park. 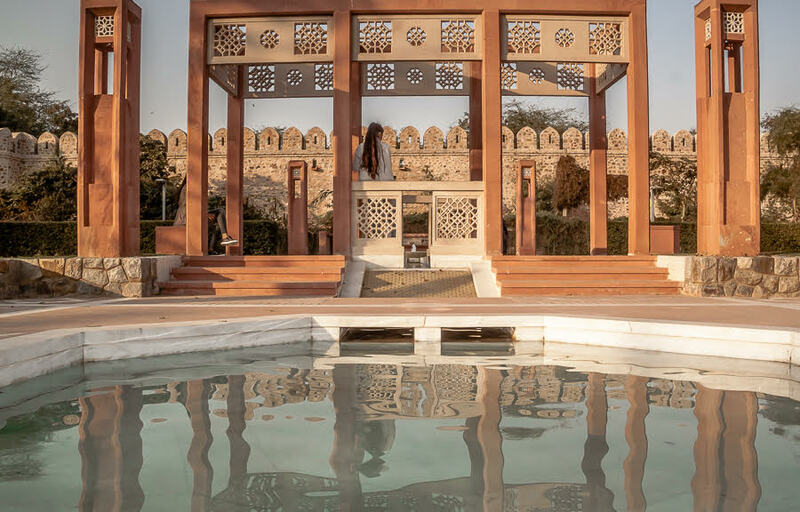 Complete with Persian inspired waterways, a small central lake and kid’s play area - the easy walk amidst the gardens is a surprising journey through Delhi’s past and future. The Mughals were the first to blend symmetrical waterways into their garden designs. The tomb, with its hand painted terracotta and sandstone interior, is moments away is the fragrant rose garden, filled with blooms gifted from visiting ambassadors. There’s a sunken lotus pond, marble arch and willows bending to dip lightly into the lake. It’s about as far away from central Delhi as you can imagine and as close to the story of Delhi as you can get.